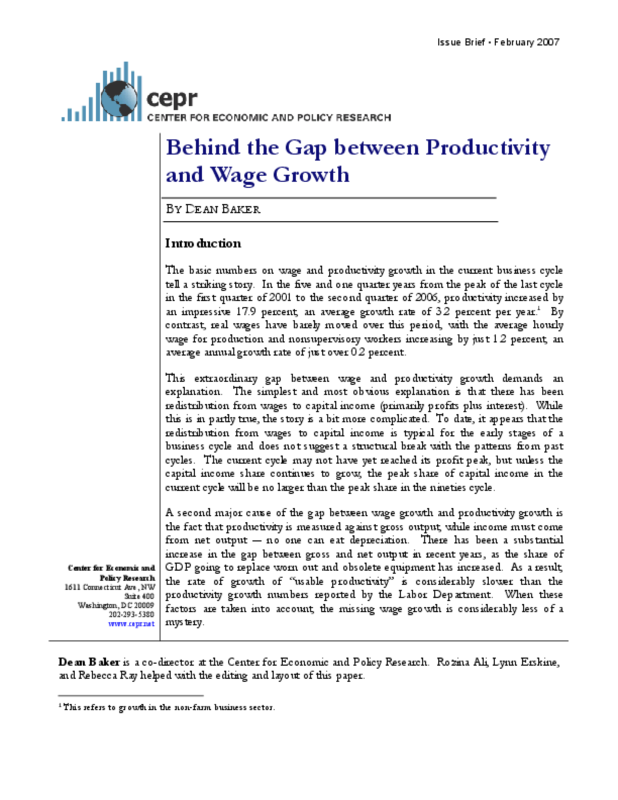 Much has been written in this business cycle regarding the rapid increases in productivity and the stagnant growth in wages. From the peak of the last business cycle in the first quarter of 2001 to the second quarter of 2006, productivity increased by 17.9 percent, an average growth rate of 3.2 percent per year. But real wages have barely moved, with the average hourly wage for production and nonsupervisory workers increasing by just 1.2 percent, an average annual growth rate of just over 0.2 percent. This report explores the forces behind this difference. It looks at cyclical trends in labor and capital income, and the difference between gross and net productivity.